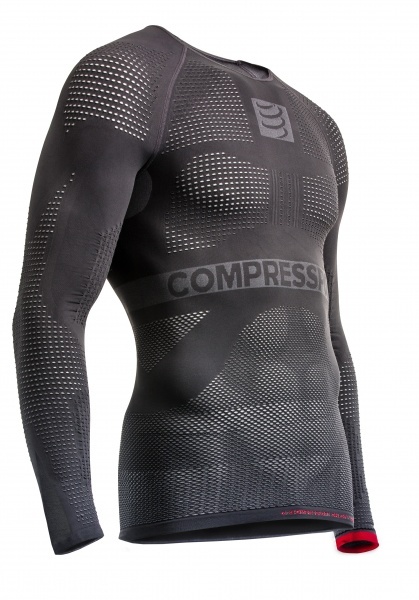 A new revolutionary concept - ON/OFF MULTISPORT BASE LAYER SHIRT. Its interactive ON/OFF fiber breathes with you and regulates your ventilation depending on the intensity of your workout. 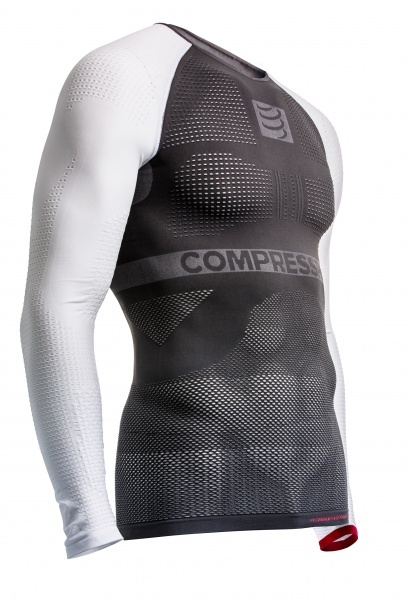 COMPRESSPORT® provides the first shirt whose interactive ON/OFF fibers breathe with you. Its 42,000 breathing alveoli open and let in the air you need to perform. Your breathing then becomes regulated depending on the intensity of your workout. You can breathe deeply, with no limits. OFF for high-pressure protection during deceleration. 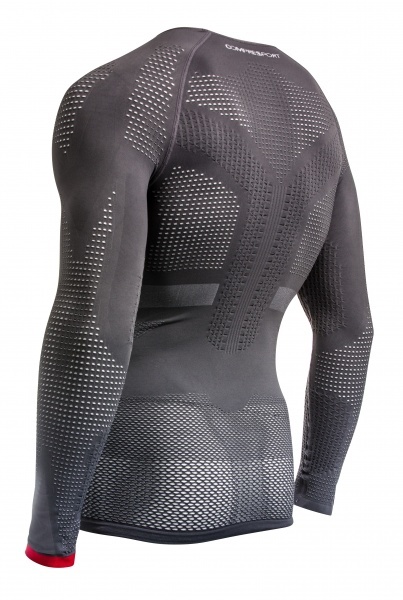 The fiber and its 42,000 alveoli close up and protect you to guarantee a “high-compression” descent with perfect muscle strength. 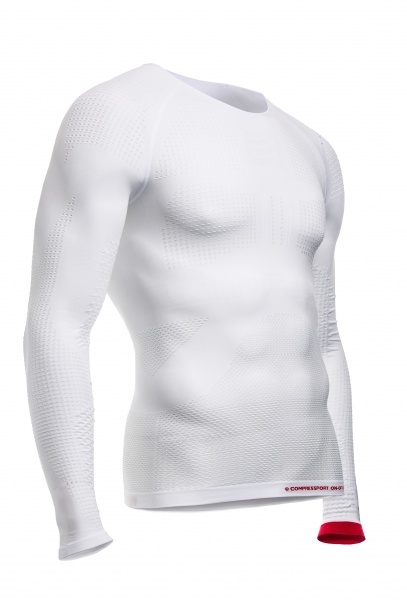 The ON/OFF MULTISPORT 1ST LAYER SHIRT protects you from the cold air in the winter and hot air in the summer has a “compression – massage – strengthening” function that protects you from muscular oscillations to help you eliminate toxins and improves recovery. • maintenance of the proper position even during long workout. The SPIN CONTROL area also helps you open the ribcage better in order to increase breathing capacity and improve oxygenationduring workout, but also after workout in order to provide faster recovery. 3D PATCHS SHOCK ABSORBER : supported arms evening during full workout! 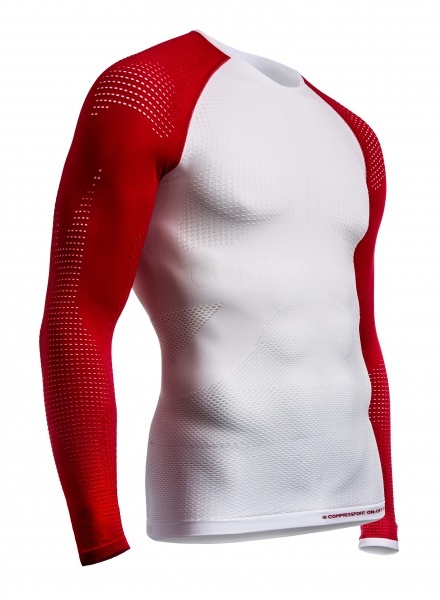 The ON/OFF MULTISPORT 1st LAYER SHIRT LONG SLEEVES are equipped with 3D patches that provide localized compression support to the muscles of the arm (biceps) and forearm (supinator and pronator teres). They are very comfortable and they adapt to the athlete’s morphology, providing optimum shock absorption and an anti-vibration effect. When your arms are supported, you’ll feel supported and stronger yourself.